Below is a link to an article which was published in Family Foundations Magazine in 2003. Although it was written seven years ago, it still rings true today as I adjust to mothering pre-teens, teenagers and young adults. 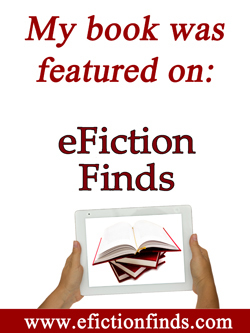 During this holiday season when there may be opportunities for leisure reading, check out this wonderful website with great reading ideas: www.catholicfiction.net. There are reviews, lists and many interesting articles. Earlier today, I appeared (by phone) on the program “This is the Day” on Catholic TV. The following is a link to the video of today’s live show in which I was interviewed regarding Emily’s Hope. December is not only the month of Christmas, it’s the month of two important Marian Feast Days: the Feast of the Immaculate Conception (December 8th) and the Feast of Our Lady of Guadalupe (today). Our Lady of Guadalupe appeared to St. Juan Diego in December of 1531. She requested a church be built on the site of the apparition and when the local Bishop requested a sign, she did so. This evening, we will attend a celebration of the Feast of Our Lady of Guadalupe at our local church with a potluck supper (including Mexican food), fellowship and games. On Tuesday, December 15th, I’ll be interviewed on Catholic TV on the program “This is the Day.” I’ll be talking about my first novel, Emily’s Hope. I had planned to post this yesterday, but with one of my boys ill with a stomach virus, mothering took precedence over writing. There’s a great post about St. Nicholas at this link on Catholic Fire. In our household, the feast of St. Nicholas is celebrated by filling our sons’ boots with candy and small toys. For obvious reasons, and since our older sons are adults and/or away from home much of the time, the youngest two boys have kept this tradition alive by their enthusiasm for this feast. Despite one being sick, we were not disappointed. How does your family celebrate St. Nicholas Day? Feel free to comment and share your ideas.